As pumpkin pie latte season approaches, so does the season for the world’s largest pumpkin patch, to use the term loosely. 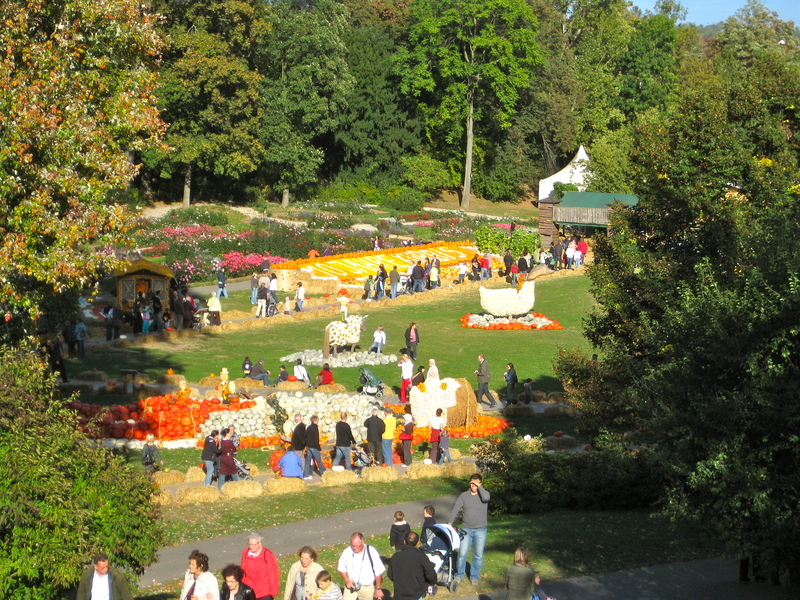 This festival adopts a theme each year beyond simply “pumpkins.” Last year the gardens of Ludwigsburg Palace in Ludwigsburg, Germany were transformed into a dinosaur park with sculptures of dinosaurs created out of thousands – perhaps millions – of numerous varieties of pumpkin. This year’s theme is quite the dramatic opposite – Switzerland. Have you ever seen a pumpkin sculpture of the Matterhorn? Cows with pumpkin bodies? Probably not. But the visual creations are not the primary attraction for me. 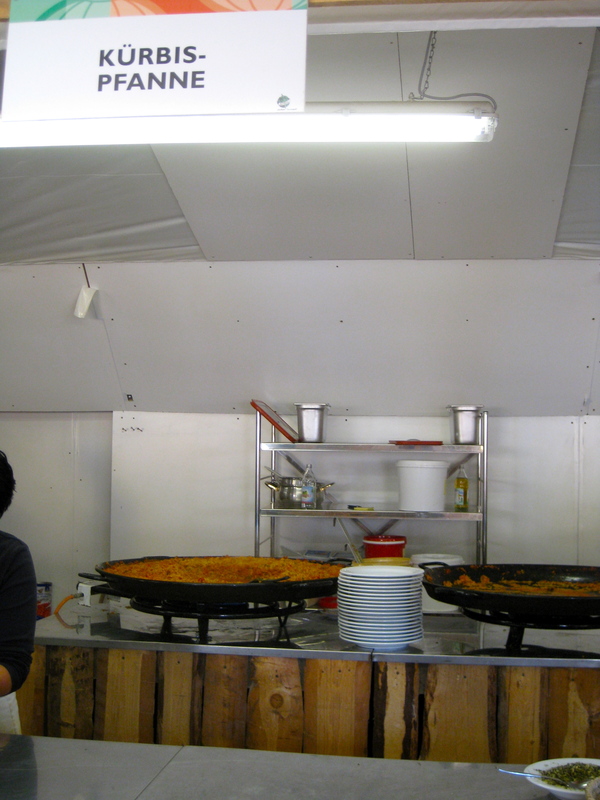 As usual with these type of festival event, I go for the food. Pumpkin-stuffed ravioli (maultaschen), soup, pastries, spaghetti, pumpkin liquor. You name it, it’s there and it’s all good. If, like me, you can’t attend this year because you happen to not be in Germany, you can still check out the website and see what they’re serving in the garden cafeteria. It may provide you some inspiration for ways to prepare and devour the excess pumpkin you will inevitably experience this fall. 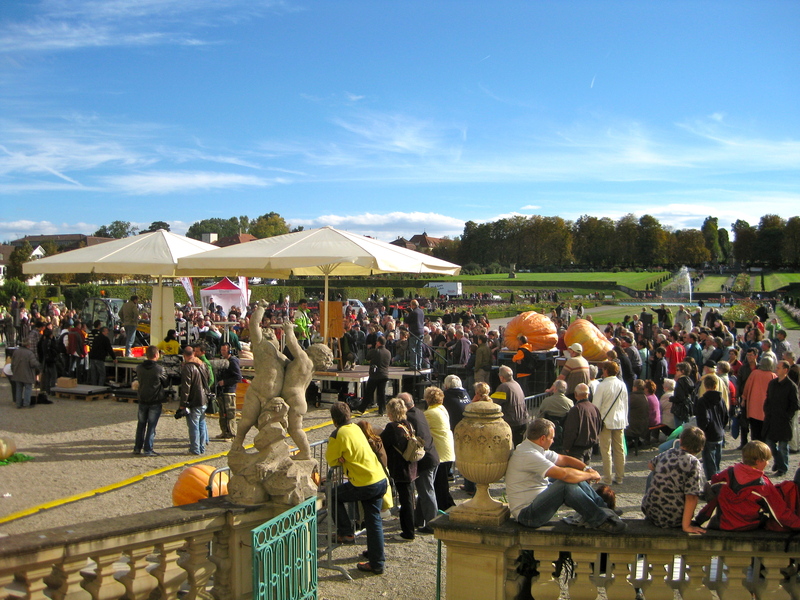 After you eat your pumpkin tart at the festival (or the one you created at home), check out the grand prize winners for Europe’s largest pumpkin (or check out the photos online). These are some big babies that grow to unbelievable sizes due to the long periods of European summer sunshine. And, of course, the children will enjoy the visit because the palace is home to a classic fairlytale land. Over 30 scenes from fairytales have been permanently recreated throughout the multi-terraced botanical garden. Climb up to rapunzel’s tower and pull her long, blond braid descending to the ground. Walk through a small cabin with scenes of woodworkers within. This place will keep kids ages seven months to 94 years occupied for hours. I’m not there this year to visit, but every autumn I think about it. If you’re in the area, check it out and let us all know how the pumpkins look this year! Below are some of my photos from 2009. 31 August thru 11 November 2012. 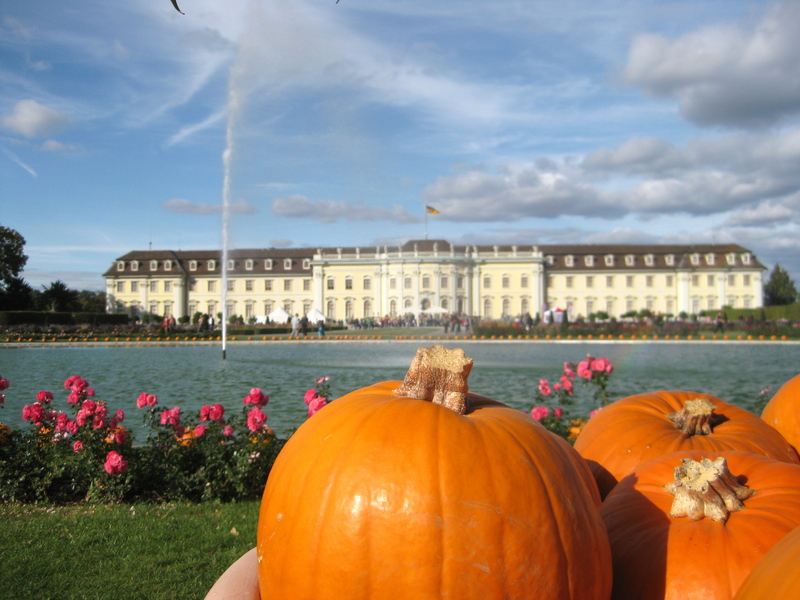 Pumpkin festival website in German. 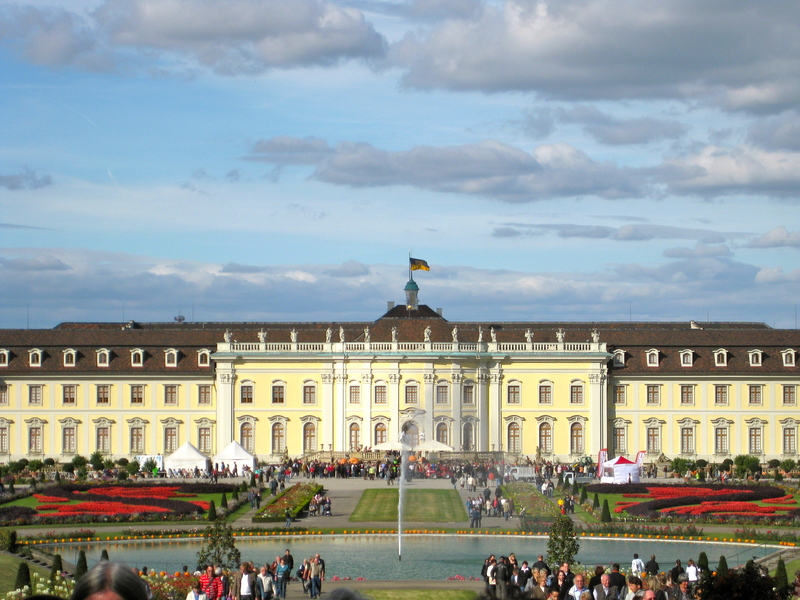 Ludwigsburg Palace website in English. The palace from the main entrance. The expansive gardens are in the back. Notice the orange spots just below the center door. Those are some massive ugly pumpkins. Pan of pumpkin pasta goodness.